Working on your six pack is more fun and motivational with a friend. 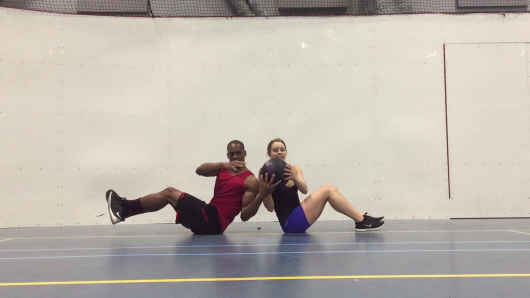 Grab a partner and a medicine ball to perform these five crazy effective partner abs exercises. Feel the burn together! Perform one round of this partner abs workout, completing 20 repetitions of each abs exercise. 10 center and 10 each side. With these Leg Throw Downs, one partner will do the abs work and the other partner will throw the other partner’s legs. The goal is to not let your heels hit the ground and bring your feet back up to vertical as fast as possible. Throw your partner’s legs down the center 10 times. Then, throw your partner’s legs alternately 10 times each side. 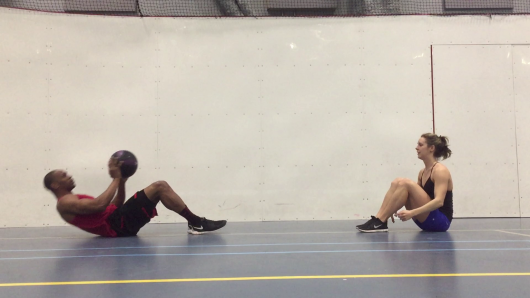 Doing Long Medicine Ball Throws, the partners will face each other in sit-up position, separated by one full body length. The further distance, the harder the exercise. Lay on the ground in sit-up position with medicine ball held by both hands in chest. Throw ball at top of sit up to partner, extending arms all the way. In the upright sit-up position, catch the ball. Slowly lower down with ball in hands by chest. Sit-up and throw ball at the top of sit up to partner, extending arms all the way. Repeat until each partner completes 20 throws. With Double Russian Twists with Medicine Ball, the partners will sit on ground, facing away from each other, backs lightly touching, and feet raised several inches from the ground. 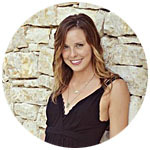 Sit upright, chest tall, feet held several inches above ground, and hold ball in front of chest. Turn towards partner, rotating only your core, and gently pass the ball to your partner. Grab the ball from your partner. Engage and rotate only your core, and gently pass the ball to the other side to your partner. Repeat until you receive the ball from your partner 20 times. With Sit-Up Taps, one partner will lie on the ground and sit up, while reaching towards the other partner’s hands. Lay on the ground in sit up position. Sit up and stretch upwards towards your partner’s hands. Stand on your partner’s feet. Hold your hands straight out and let your partner reach up to tap them. After your partner completes 20 sit up taps, switch, and repeat. Remember Wheel Barrows from when you were a kid? One partner will use their abs, walk on their hands, and “plow,” while the other partner holds their feet, walk on their feet, and “wheels” the partner across the floor. Let your partner grab your feet. Engage your core, holding stable, and walk with your hands. Walk about 20 steps with your hands, and then walk back 20 more steps. Grab your partner’s feet by their ankles. Hold their feet steady and walk them at their pace. Be careful not to walk your partner too fast or slow. Make your very own six-pack with a friend today! Have fun with this partner abs workout. Make sure to share this partner abs workout video and subscribe to our YouTube channel when you complete this workout.